At Garage Door Repair Eden Prairie our team of highly trained and experienced technicians understands the importance of maintaining security and safety in the home. That is why we are dedicated to ensuring that we do all our garage door repairs with attentive care and thorough responsibility. We provide replacements on failed parts, repairs and restorations, as well as regular maintenance to extend the lifespan and safe usage of residential, automated garage doors. The components on your door work hard over time to perform various crucial functions. The stress of these tasks slowly wears them down, diminishing their useful lifespans. Further damages are often incurred as a result of adverse weather conditions, making replacements on garage door parts an essential requirement for their long-term upkeep. Our team will source and install the appropriate parts for you when the need arises. Your door’s springs are essential for keeping it properly balanced. When they begin to fail, you might notice some sagging, as well as difficulties during operation. Have our team replace these springs for you at the first sign of trouble as part of our garage door repair services, to get your door correctly balanced once more. Our team also specializes in replacements and repairs on aesthetic and automatic parts such as openers and receivers. 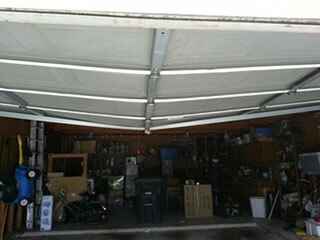 Should any of your garage door panels need replacing, we are well equipped to handle it for you. If you would like your garage door repairs to be handled by a team that works with quality parts and provides excellent service backed up by years of experience, contact our team at Garage Door Repair Eden Prairie today, or explore our website for details.